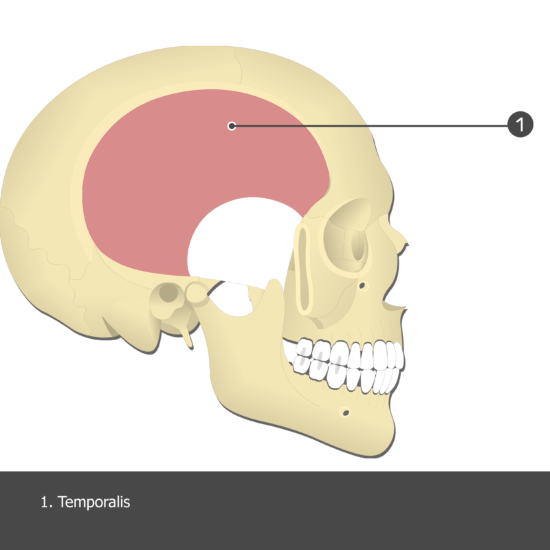 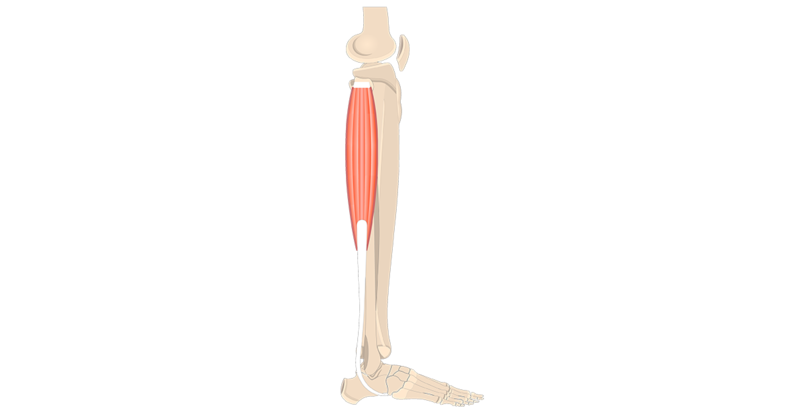 Temporal lines, temporal fossa, and temporal fascia. 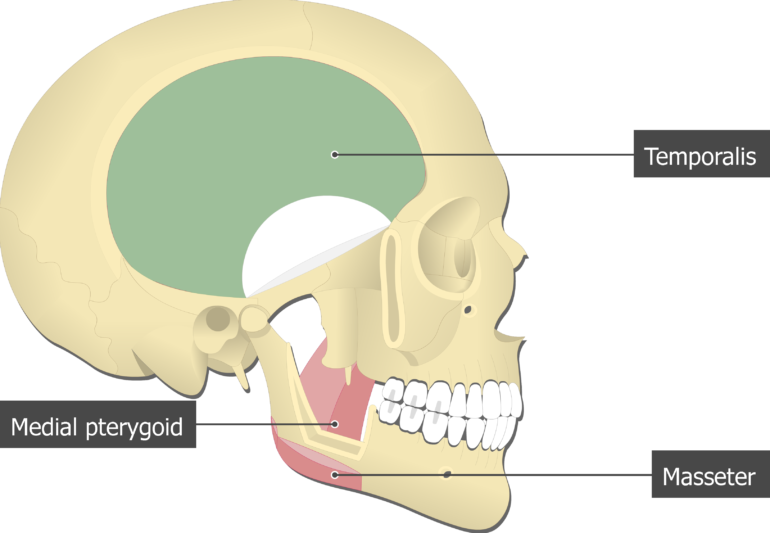 Tip and medial surface of coronoid process of mandible. 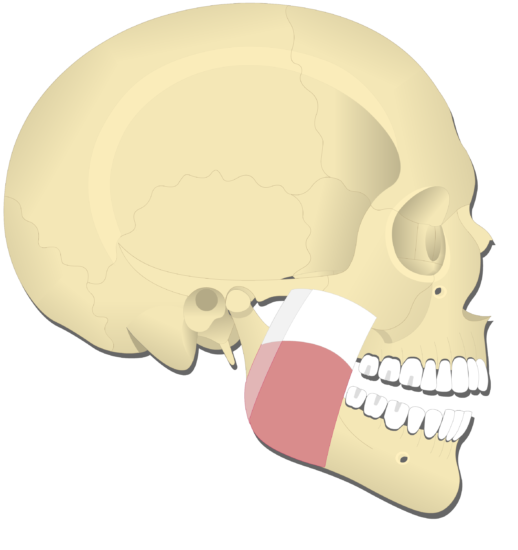 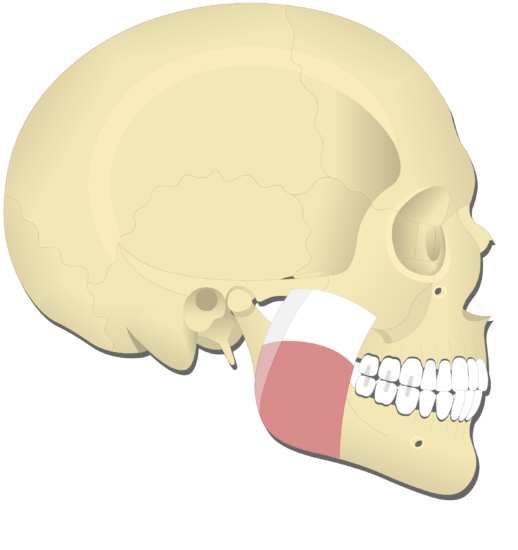 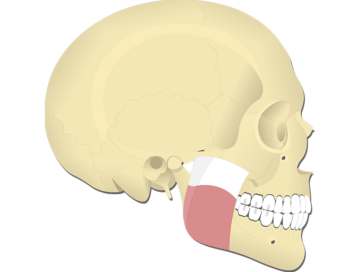 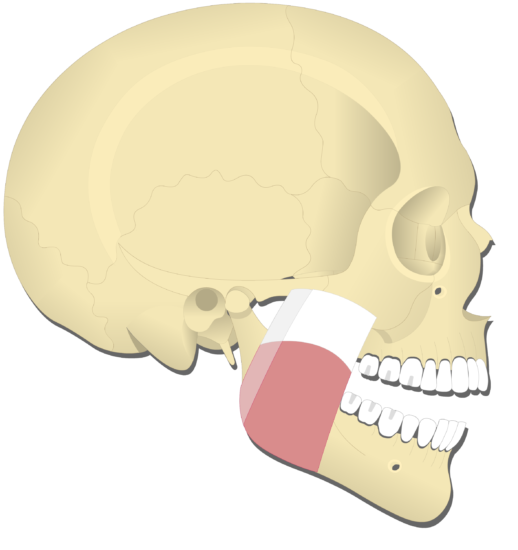 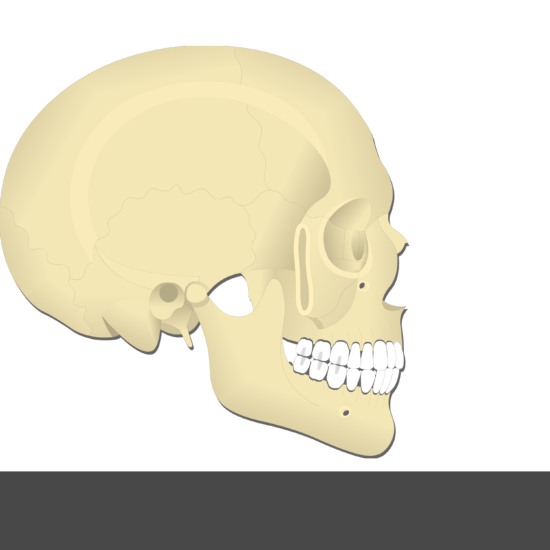 Elevates and retracts mandible at temporomandibular joint to close jaw. 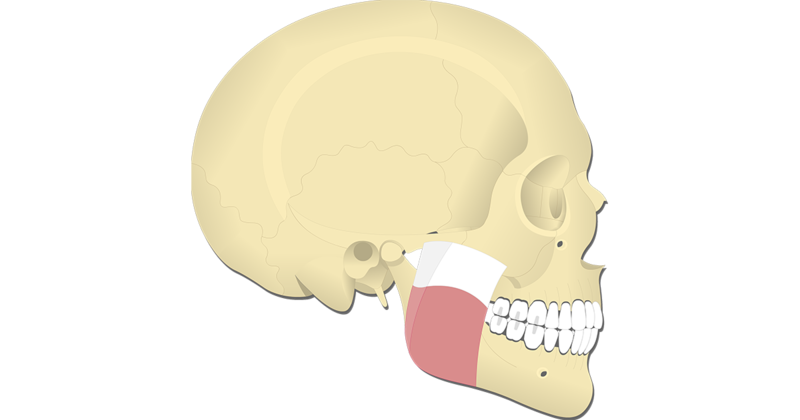 Mandibular branch of trigemminal nerve (V). 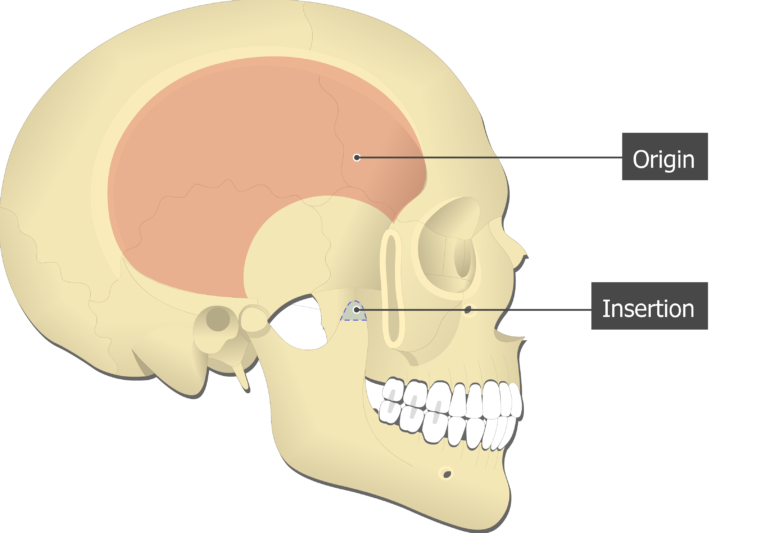 Medial Pterygoid Muscle (Insertion, Origin, Actions & Innervations); explained beautifully in an illustrated and interactive way. Masseter Muscle (Insertion, Origin, Actions & Innervations); explained beautifully in an illustrated and interactive way. Lateral Pterygoid Muscle (Insertion, Origin, Actions & Innervations); explained beautifully in an illustrated and interactive way.